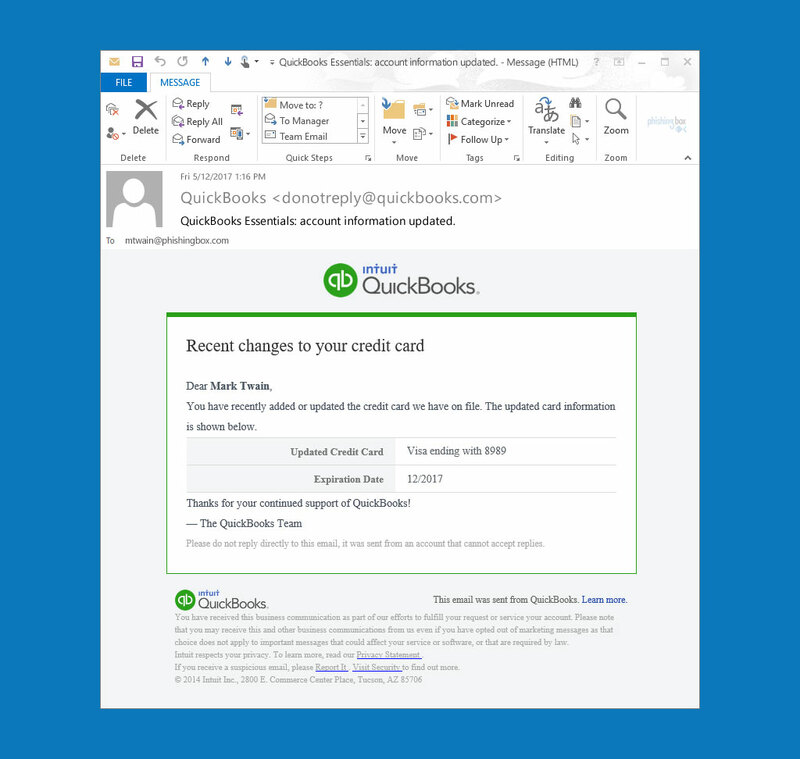 Is the image below of a real email or phishing email? All materials used for the above Phishing Test questions are examples of real life phishing attempts and are being used for educational purposes only. Our Phishing test is publically available and is completely free of charge to encourage online training for phishing security awareness. All copyrighted elements are the sole property of its specific owner. PhishingBox, LLC. shall not be liable to you or anyone else for loss or injury caused in whole or part by procuring, compiling, interpreting, delivering, or reporting information through this website. Also, in no event shall PhishingBox, LLC. be held liable to you or anyone else for any decisions made or action taken or not taken by you in reliance on such information provided in our phishing security test training. For information regarding our phishing test please contact our phishing training team, click here.